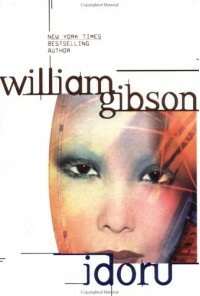 You know, it seems like I would really like William Gibson, from what I've heard of him, but there's something about his writing that leaves too much out. This book is the first of his I've been able to finish. I still don't feel like I understood everything he was trying to say--something about a melding of science and nature, centered around the music star Rez and the idoru Rei. It was interesting, but I kept feeling like it was something I was reading out of the corner of my eye, and every time I looked directly at it, it slipped away. Very interesting ideas, though.